This 15 litre Storage geyser water heater is suitable for all practical bathroom requirements. It's Ultra Diamond Glassline Tank Body material with 5 Star Rating (BEE). 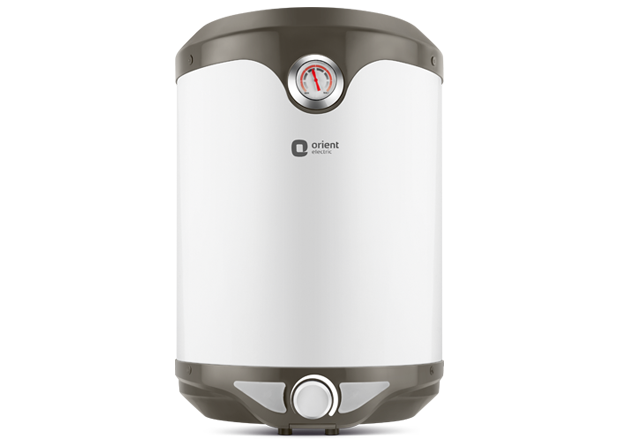 It is ABS Outer Body Material.This geyser water heater comes with Thermal Cut Out and Anti Corrosion Magnesium Rod. To Recieve updates and possible rewards for Orient SWES15GGM2 please sign in. To Recieve updates and possible rewards for Geyser/Water Heater please sign in.